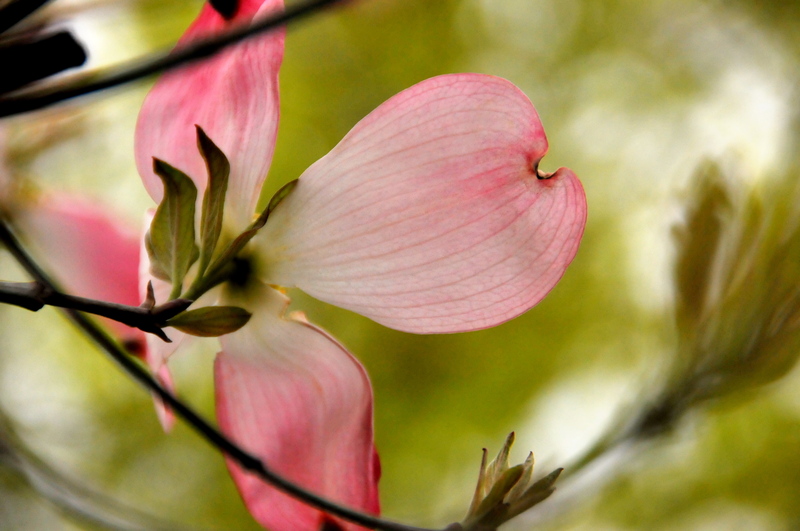 … of the Dogwood Tree. 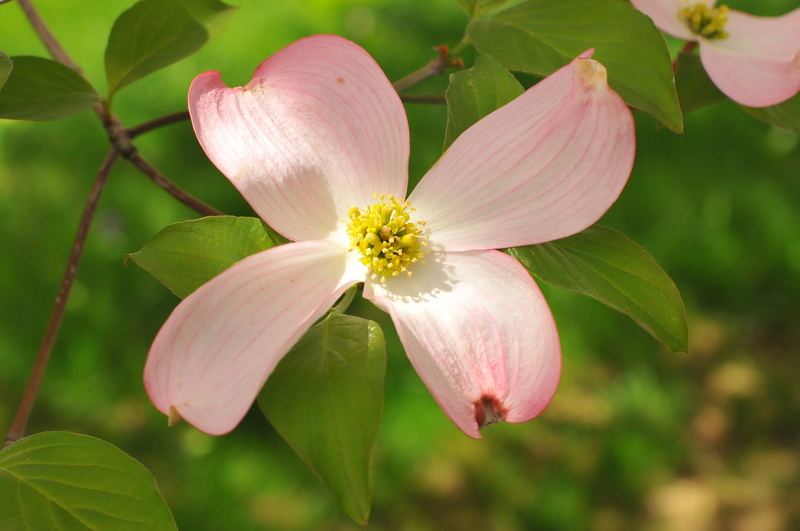 At the time of Crucifixion the dogwood had been the size of the oak and other forest trees. So firm and strong was the tree that it was chosen as the timber for the cross. To be used thus for such a cruel purpose greatly distressed the tree, and Jesus, nailed upon it, sensed this. … and its blossoms shall be in the form of a cross–two long and two short petals. And in the center of the outer edge of each petal there will be nail prints, brown with rust and stained with red …. 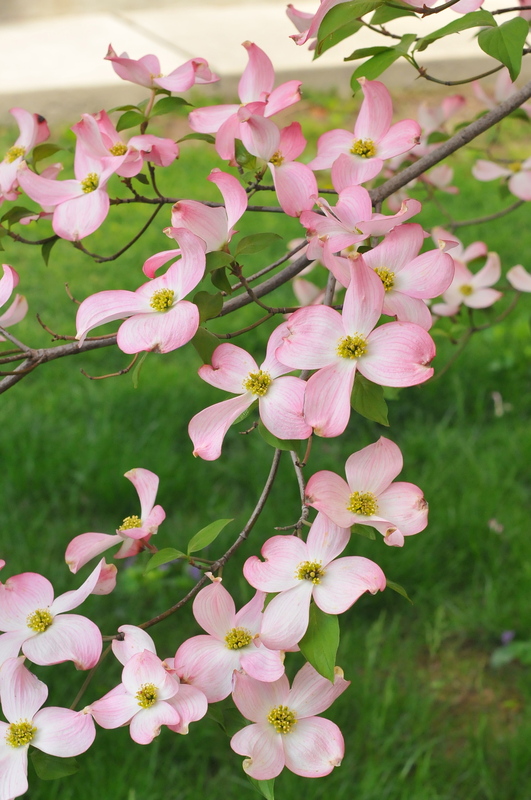 The pink dogwood is said to be blushing for shame because of the cruel purpose which it served in the Crucifixion. The weeping dogwood further symbolized the sorrow. 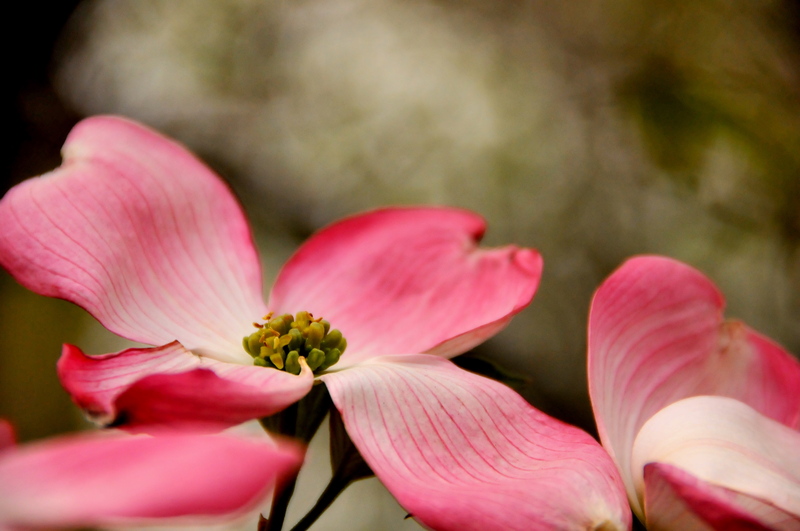 The red dogwood, called the Cherokee, bears the color to remind us of the blood shed by our Savior. I have always loved this since I was a child, I have it hanging on my wall. Nice! Thanks for the visit. That is a beautiful legend. Makes me want to have a dog wood tree even more. Beautiful photos. 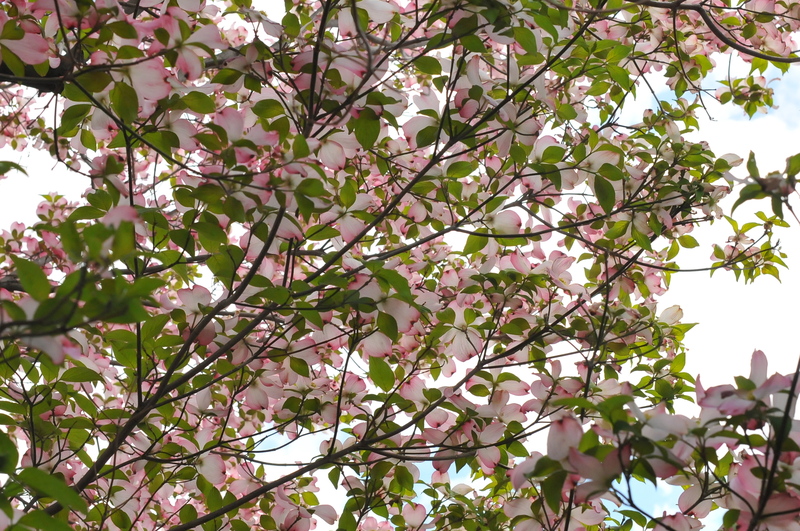 It is a beautiful legend, and now I look at the dogwood tree and recall the legend. I’m waiting for the tree to bloom again, so I can take more pictures! Thanks for the visit! 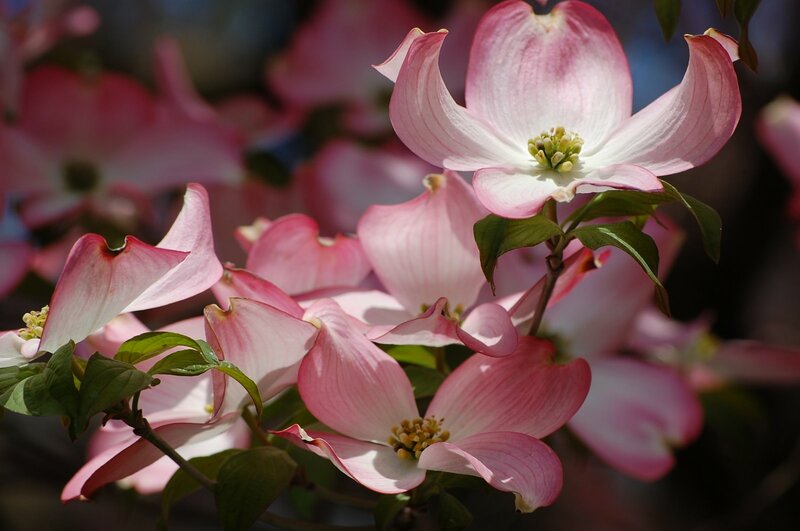 Beautiful flowering dogwood! You capture its beauty very well! Is this tree yours? This year, I am growing white ones from seeds, I would love to trade some seeds of pink one if it is possible? Hello . Yes, this tree is in our front yard. I’m okay to trade seeds, if possible. Where are you located? How about 50 seeds sound? I have planted some–they need few months of germination period. After planting I do not have too many left. I might able to ask for more from my clients. I live in Toronto, Ontario, Canada. Where are you located? You can google the way how to grow them from seeds if you haven’t tried it before. It will be nice to see more flowering trees! 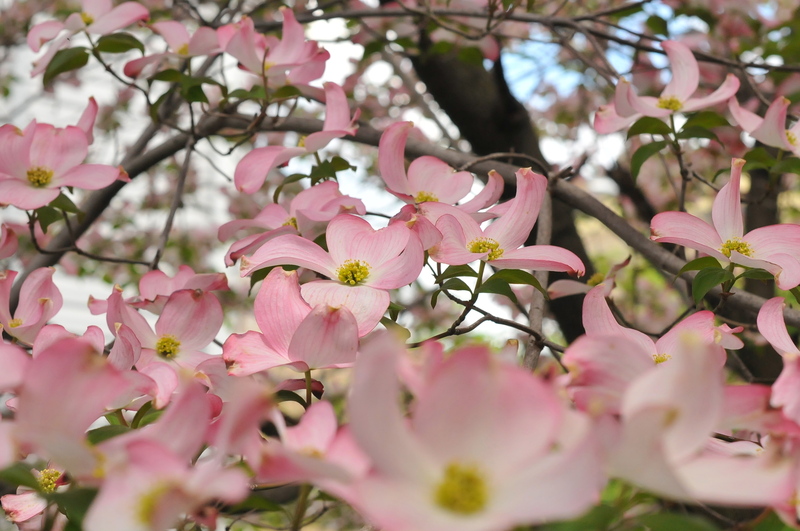 By the way, the white flowered flowering dogwood tree they flower late compare with the pink ones. Pink ones flower in spring and white one flower in early summer. Both of them change their foliage to purple-red in fall. If you are OK with the number I can mail you mine first so you can start to grow as soon as you receive. Mail me 50 seeds when your tree have seeds ready unless you do have some saved from last year. You may email me your mailing address info to: janelp_lee@yahoo.com Thank you!